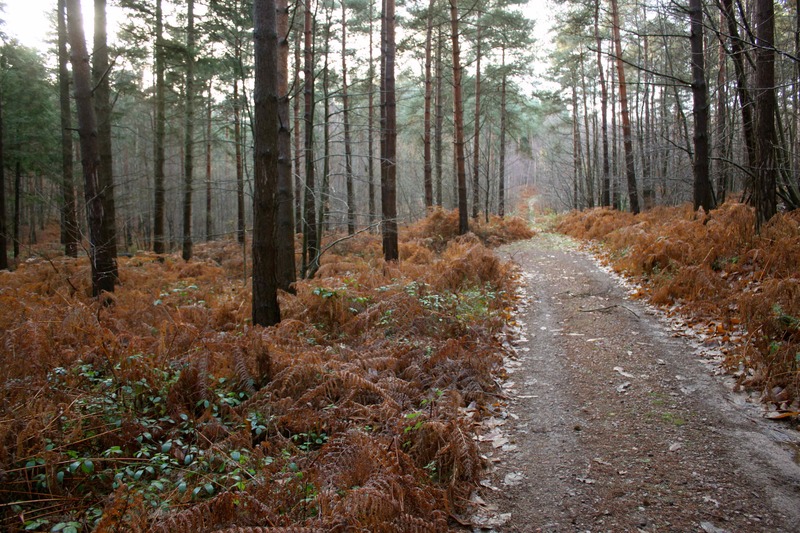 I had healthy goals in mind too which began with a walk through the woods. 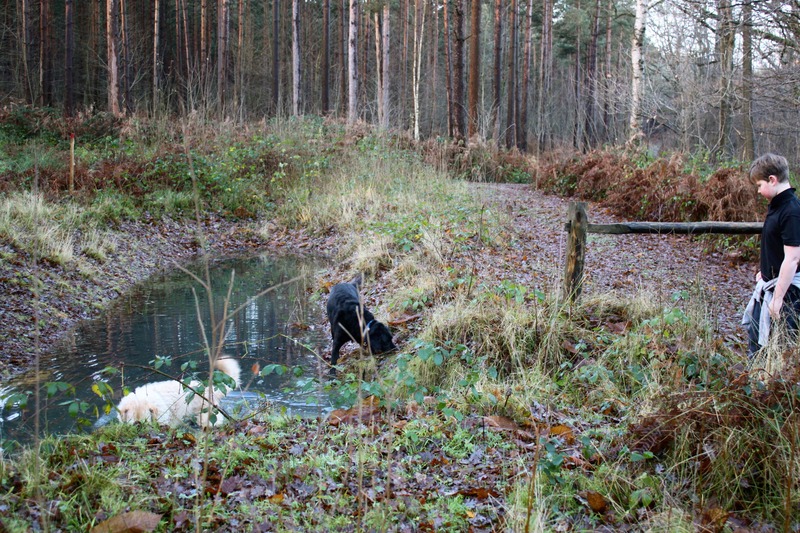 And through some water for the hairy ones! 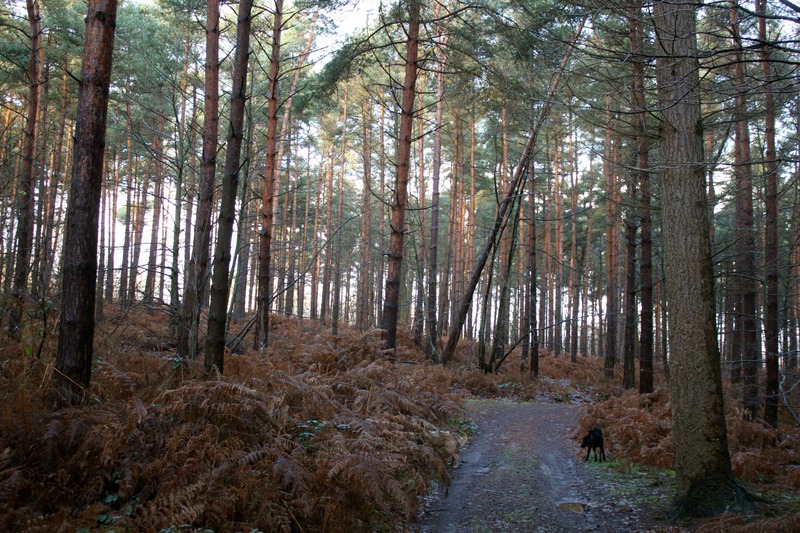 The woods are beautiful at all times but I particularly like them in the mornings when the sun is beginning to shine through the trees. 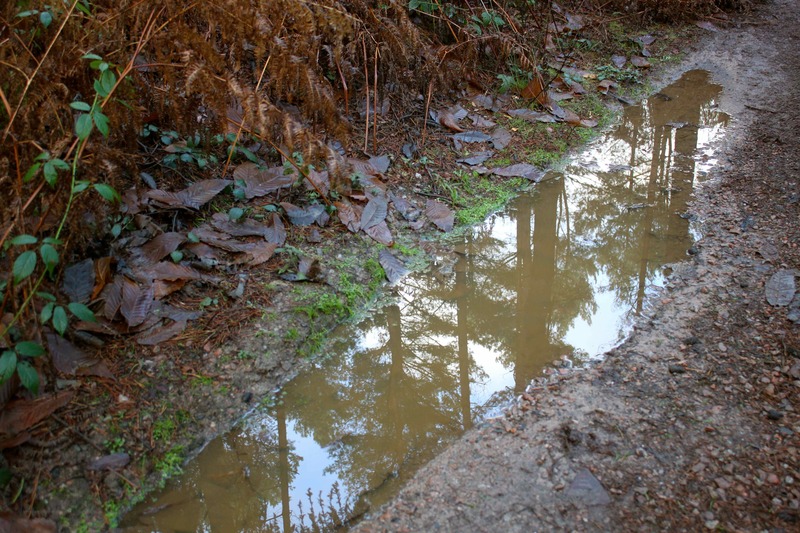 I like the reflections in the puddles too. All was quiet and peaceful and beautiful. 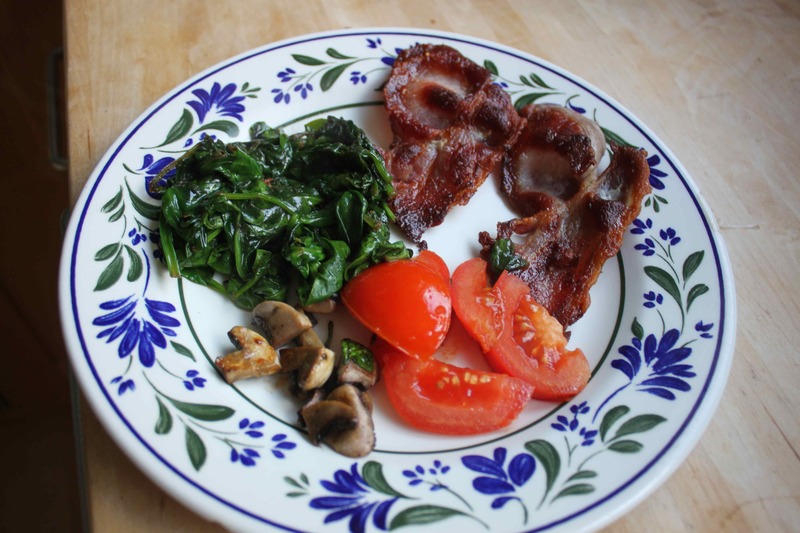 Back at home we had crispy bacon, spinach, tomatoes and mushrooms. A while later I was very pleasantly surprised to have a visitor – Michelle. I had done the unimaginable and forgotten she was coming which was dreadful of me so we went out for lunch. I decided to give my newly revamped local another try – The Milk House. Their winter menu was far more my type of fodder than their classic menu I had selected from previously so I was a happy customer. 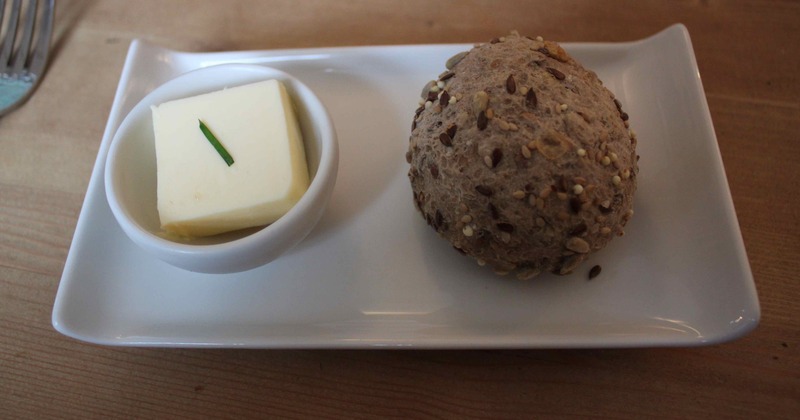 We had a small but perfectly formed bread roll while we perused the menu. 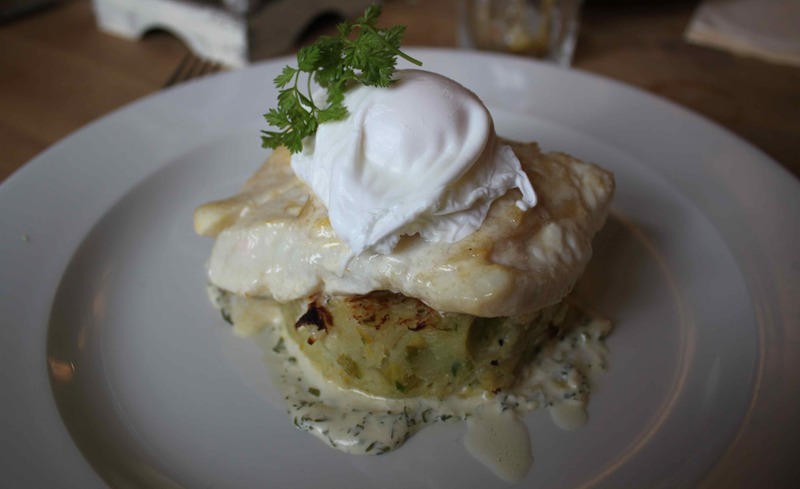 I chose smoked haddock on bubble and squeak with a poached egg. I also shared a green salad with Harvey who did me proud by ordering it to go with his burger! I did not manage to be sugar free today. Michelle was disappointed at my total lack of biscuits and cakes but I remembered our neighbour had brought round Quality Streets so I helped out with those. That gets the sugar devil going and I then want more. 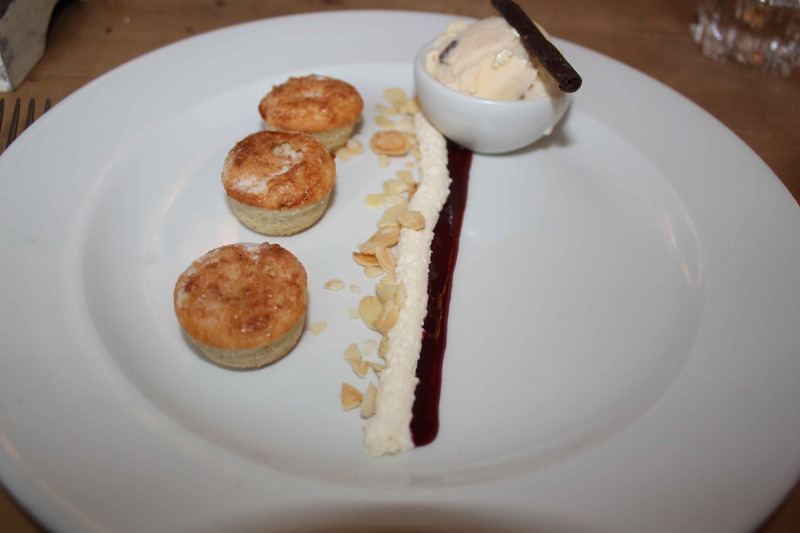 So I had this cute dessert of 3 mini mince pies with an almond pastry served with brandy cream and rum and raisin ice cream. Very naughty but very enjoyable. Thank you for visiting Michelle 🙂 I had a rather bizarre supper. Half my family were out tonight at short notice so the dinner I had planned was uneaten. 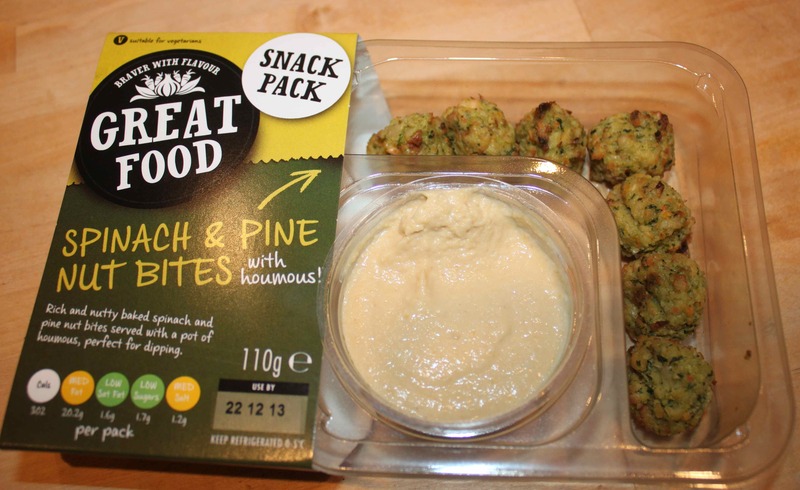 Plus I am going away tomorrow and wanted to eat up some of the perishables such as these spinach and pine nut bites. They were ok, not great but edible. I much prefer the spinach falafels and Waitrose organic humous which is amazing. I was craving a pile of veggies so I had roasted red and yellow pepper, sautéed spinach and tenderstem broccoli, raw cucumber and tomatoes with the spinach and pine nut bites and spinach falafels and humous. 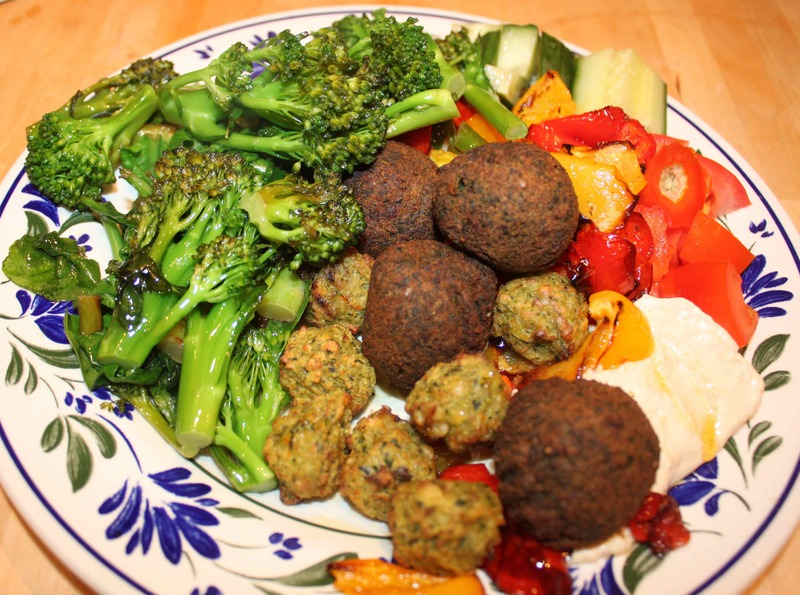 The veggies and falafel were lovely but they did not necessarily all taste complementary to each other. However, they were nutritious and I enjoyed my meal. I enjoyed everything I ate today. I may not do so well tomorrow with yumminess as I am travelling all day!